Join us for summer camp! We offer one or two week-long nature camps for ages 5-18. Most are day camps (where children return home each night) and we also offer camping and backpacking trips for teens. 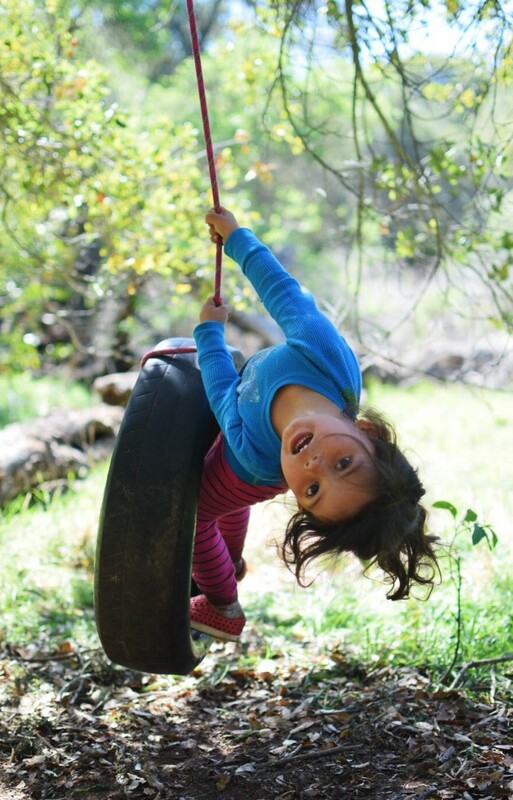 Groups of 12 children meet every day at various spots throughout Santa Barbara and Goleta. Camps for ages 6+ use a 15-passenger van to travel to different local resource-rich locations each week, such as creeks, beaches and open spaces. Every program has 2 staff & 1 volunteer to achieve a 4:1 ratio of children to adults. 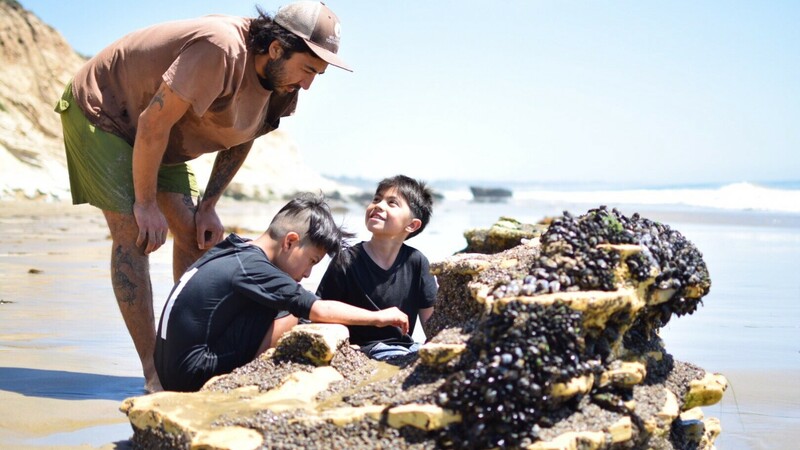 Our staff creates an environment of respect and safety for your children, so they are free to explore their own curiosities outdoors while deepening their connection to the natural world. Sign up for the lottery! What are the dates for the 2019 summer camp lottery? Lottery sign-ups for Summer 2019 FOR ALL FAMILIES (including school-year families) runs through February 25th – March 8th. Lottery results will be announced via email. Entries received after March 8th will not be included in the first round of lottery (but a lot of things shift so there is still a good chance you can get a spot if you register after the deadline). Which programs are affected by the lottery? The weighted lottery system applies to registration for summer programs. It also applies to our bi-annual Family Camps and some adult programs, depending on popularity of the event. Under payment options, select “join waitlist.” You MUST select “join waitlist” and check out to be placed on a summer waitlist. What factors affect my chances of enrollment in summer camps? What happens if I miss the first round of lottery? Any family (including school-year families) who registers after the March 8th lottery period will be considered for Lottery Round 2. Join the waitlist for all sessions you are available for. WYP will contact you via registrar@wyp.org if a spot becomes available for your child. Families who were included in the first round of lottery, but did not get a spot. Families who submitted registration between March 8th and April 15th. Starting May 1st: Open spots will be filled via an email that goes out to everyone on the waitlist for a given age group, regardless of when they submitted registration. How many camps can my child participate in this summer? Treefrog and Dragonfly may participate in a maximum of three weeks. For families requesting a deeper scholarship, see our Deeper Scholarship Request Policy below. Program fees for summer camps are organized via sliding scale levels based on ability to pay. More on our pricing. Scholarship Level 2 & Deep Scholarships, Deep Subsidy: For low income families****Deeper scholarships below Level 2 may be requested by completing the scholarship request amount during the application process. Each family must pay a minimum of $30/child/week. If a family would like to participate in more weeks of summer camp, they must pay at Scholarship Level 2. A one-time non-refundable deposit of $30 will be charged upon registration, per summer camp. The $30 deposit is non-refundable on cancelled registrations. This retainer fee may not be transferred to a different summer camp or participant. Cancellations made 2 weeks before the start of camp will not be refunded. You may change your child’s camp once at no cost. The retainer fee already paid will be applied. After that, WYP will charge $5 per change.